Lava rock is popular in planted aquariums due to it's rough texture - ideal for planting mosses on. 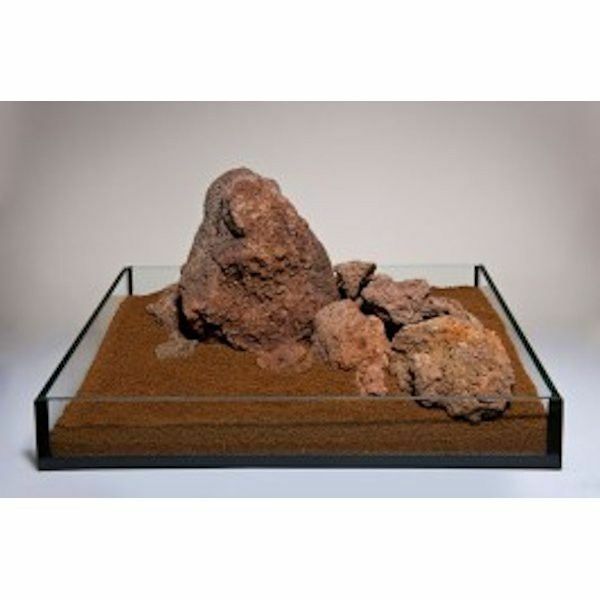 It can also be used stacked upon one another to build an aquascape. Lava rock is very different to other rocks we sell. It it much more lightweight, formed by the solidification of magma. It has a mixture of red, grey and black colours. An average piece weights 1-2KG each. We use this size for most of the weight, and make up the rest with smaller pieces. We have larger pieces too, so if you have a large aquarium let us know and we can select bigger pieces. If unsure, give us a call! Use the comments box at the checkout to state the size of you aquarium, and we will do our best to choose pieces to suit. Rough texture, perfect for planting mosses as it sticks easily. Mixture of red,grey and black colours. Can be used easily to create caves for shrimp and fish. We would suggest using 10KG per 50L. For example, for a 100L tank use 20KG. An avergae piece weighs approximately 1-2KG. We aim to include a range of sizes and shapes. great communication, swift delivery, package really well, and a good range of sizes. Ordered 3kg, supplied with over that in the form of 2 substantial pieces that met my request. Great company to order from and great delivery time too as received the day after despatch. Many thanks.